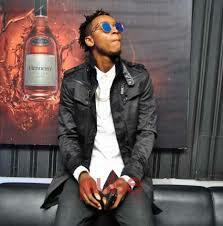 Nigerian rapper yung6ix has disclosed how he escaped death from a fellow rapper,according to Saturday morning punch, he said “I don’t know why my friend would want to kill me but that was one of the most shocking moments of my life. It happened at the studio in my house; I just came downstairs and the next thing I saw was my friend with a gun. I called him but he did not reply. Then I saw the look on his face. He came with some other people. The guy by his side just took the gun from my friend’s hand because he noticed that my friend was already having a change of heart and he did not want to shoot me. When the guy took the gun, he tried to shoot me but I was lucky the gun jammed, so everybody ran away. 0 Response to "Rapper talks about how he excaped death"